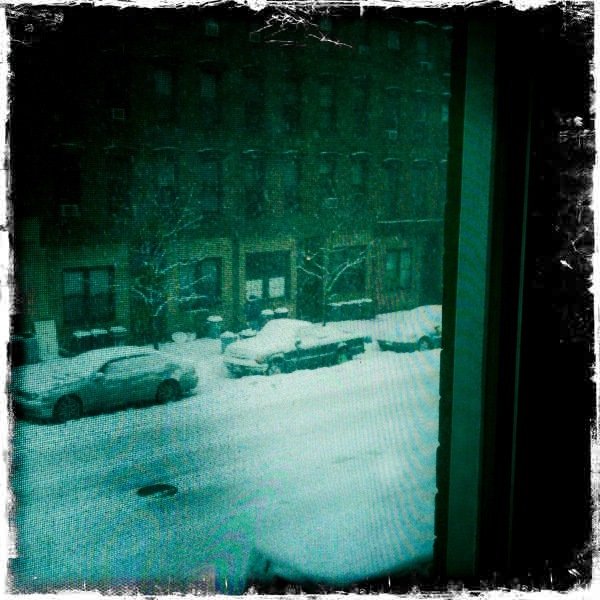 This morning, I sat looking out the window watching the snow come down. My heart felt happy and there was something that just felt right about being exactly where I was. There is something to be said for listening to what your body and your heart tell you. Whether a place is right. Whether what you are doing is right. Whether who you are being is right. And not right for other people. Right for you. There is so much noise around us all the time, pointing us in one direction or another, that our own internal voice gets drowned out. We are almost always judging ourselves by what the rest of the world tells us is right for us. Yes, climb up that corporate ladder. Yes, take that job because it pays more even if it means you never see your kids. Yes, work 80 hours a week because someone in the company will recognize your work…eventually. Yes, be miserable for forty years because then you can eventually retire and sip tropical drinks under a giant umbrella. But we don’t stop very often to ask ourselves if those are things we actually want, if they are things that make us happy or give our lives meaning. Instead, we blindly follow this unwritten guidebook to life that has become part of our collective subconscious. Why? Because by following it we feel at least partially validated. But our constant search for validation is a trap. The outside world can never make us feel completely, totally validated. Not everyone is going to be your fan. Not everyone is going to think you are doing the right things all the time. You won’t get a five-star “you’re totally valid” rating from everyone you meet. That’s why there’s something very special that happens when you stop looking at the rest of the world for validation and you think with clarity about who you are and what gives your life meaning. Understanding yourself in that way isn’t a selfish pursuit. If you think about it, if one of our key interests in life is contributing something of value to the world, we have the highest likelihood of successfully doing that if we contribute whatever comes from our authentic selves. If we contribute by just following whatever path society has dictated for us, we are not as likely to contribute with our highest levels of energy, insight, and creativity. The more we seek validation, the farther we get from actually finding it. We are looking everywhere for it, except the one place that matters.